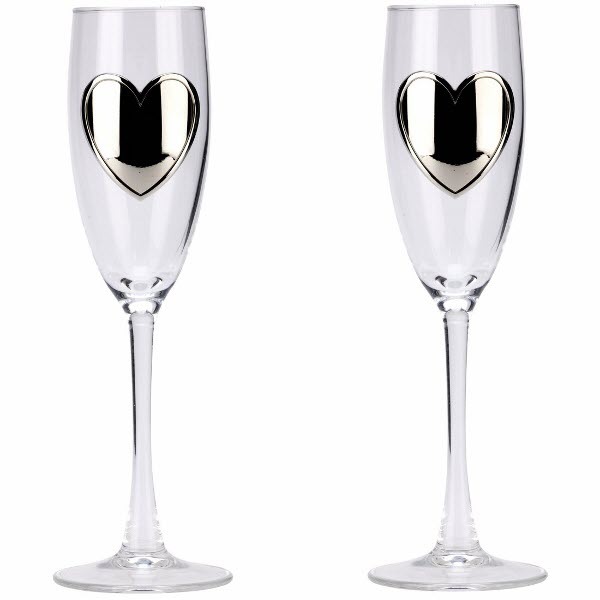 Pair of Champagne Flutes with Engraved Heart Badges in a Presentation Box. Each glasses has a Silver Heart Badge that we will engrave for you with your requirements. They can both be the same or different. It is a small area so please keep your engraving to a minimumi.e. James & Katie, 26th August 2012. They make a great Wedding or Engagement present, also great for Anniversary and Christmas gifts.